DESCRIPTION VIEWS, VIEWS, VIEWS! 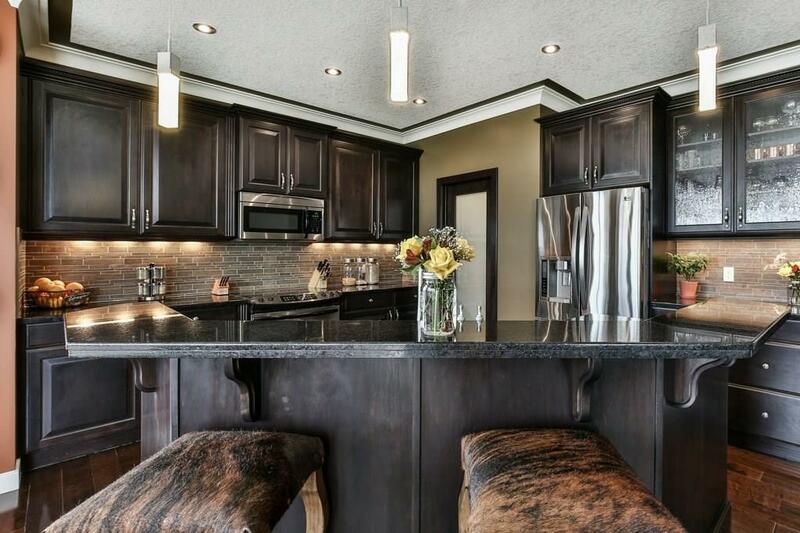 Own a home with one of the best views in Cochrane! Your beautifully functional kitchen will inspire you to spend more time making delicious home-cooked meals with gleaming granite counter tops, full height kitchen cabinets, upgraded stainless steel appliances and a walk-through pantry. Conveniently located on the main floor, you will find an office with custom, built-in shelving and the laundry room with upgraded washer/dryer. Upstairs you will find the master bedroom, taking advantage of the scenery along with a private ensuite bathroom with double sinks, a jetted corner tub with a separate shower. The lower floor boasts an additional bedroom, wet bar, rec room that walks out into the yard. Nine-foot ceilings, crown moulding, ceiling speakers, upgraded lighting, shutter blinds, wrought iron spindle railings, two fireplaces, central air conditioning, in slab heat and a heated garage are just some of the features of this home. Don’t pass up these sunsets. Call to view today! Home for sale at 104 Sunset Cl Cochrane, Alberts T4C 0B1. Description: The home at 104 Sunset Cl Cochrane, Alberta T4C 0B1 with the MLS® Number C4219948 is currently listed at $630,000.